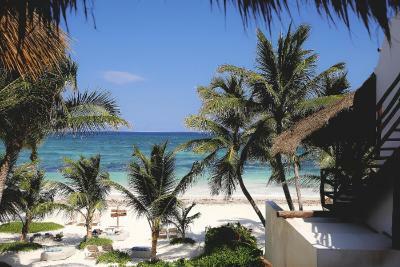 Lock in a great price for Hotel Cabanas Tulum – rated 9.4 by recent guests! We spent 3 days here at the end of our honeymoon after traveling round Mexico. The staff speak great english, are really friendly and cannot do enough to help. Our room with the private rooftop jacuzzi had incredible views of the beach, and the private area was a great retreat when the beach became too windy. Spa massages were great, and the choice of two restaurants meant getting lovely food to your room or beach sunlounger was a breeze. Will never forget sitting in the jacuzzi staring up at the stars. Probably the best Hotel experience I have had. The breakfast was defintly the best one I have ever experience and the location was perfect: Still quiet but very near the restaurants, bars and stores. The Staff is AMAZING! Friendly and extremely helpful. The location was amazing, very centralized to get anywhere you would like to go. The staff was amazing as well. They were helpful with directions, cabs, pricing, and so accommodating to our every need. I proposed to my girlfriend there and they were more than accommodating with pictures. The breakfast at Ziggy’s and Fresco’s was really good too. Fresh fruit and unique Mexican dishes. Will definitely stay here when we return. Overall everything was amazing. We stayed in the sunset jacuzzi room which was great and included a large comfortable bed, walk-in rain shower, and the roof-top jacuzzi. You are only about 20 feet from the beach which has an assortment of beds/lounge chairs for you to use. Compared to other parts of the beach you’ve got a fair amount of space along with no rocks in the surf which makes for easy swimming. The hotel restaurants were also excellent. Our rate includes breakfast at either of the two locations (ziggy’s or fresco’s) which both let you choose from the entire menu! Lastly, the service was great. Everybody was super friendly and helpful whenever we had any questions or requests. Will definitely stay here when we return to Tulum! The staff was simply exception, we loved staying here! The food was so fresh and healthy, some of the best food I have eaten. The staff was so personal and friendly, we truly enjoyed staying here and will be back in the future!! Our stay was truly amazing and so perfect—a dream! The staff was super friendly, helpful, and genuinely good people and they made our stay a memorable experience—positive vibes all around. The room was very clean, the staff was always very helpful and kind and the food was delicious. It was an overall amazing experience. I would definitely come back. The staff was incredibly helpful and accommodating. The room and view were incredible. Waking up to a view of the ocean every morning was icing on the cake. Comfortable bed in a clean beautiful room. 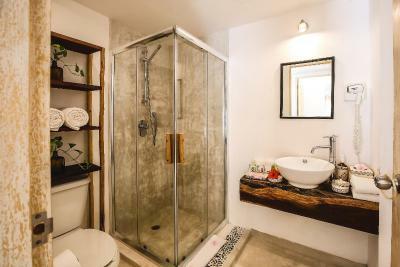 A real bonus for a Tulum hotel is that the room has a hairdryer and coffeepot! Great location and very nice onsite food and beverages. Staff was welcoming and went out of their way to ensure every need was met. When we went, the beach was terrible with Sargassum, so having a pool to cool off in during the day was a real bonus! I stayed here for a week with my boyfriend and we absolutely loved the property. Everyone was incredibly kind, accommodating and helpful in recommending cenotes or places to eat. The property was lovely - clean and quaint, and the breakfasts at Ziggys and Frescos were fantastic. 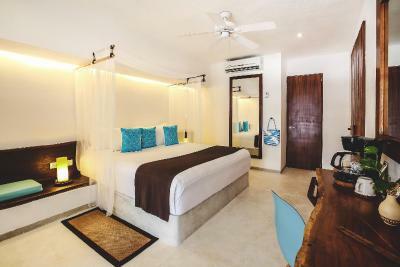 Hotel Cabanas Tulum This rating is a reflection of how the property compares to the industry standard when it comes to price, facilities and services available. It's based on a self-evaluation by the property. Use this rating to help choose your stay! 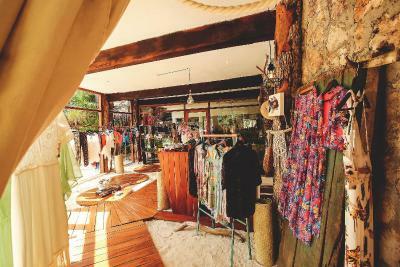 This hotel is located on one of the nicest beaches in Tulum, Mexico. 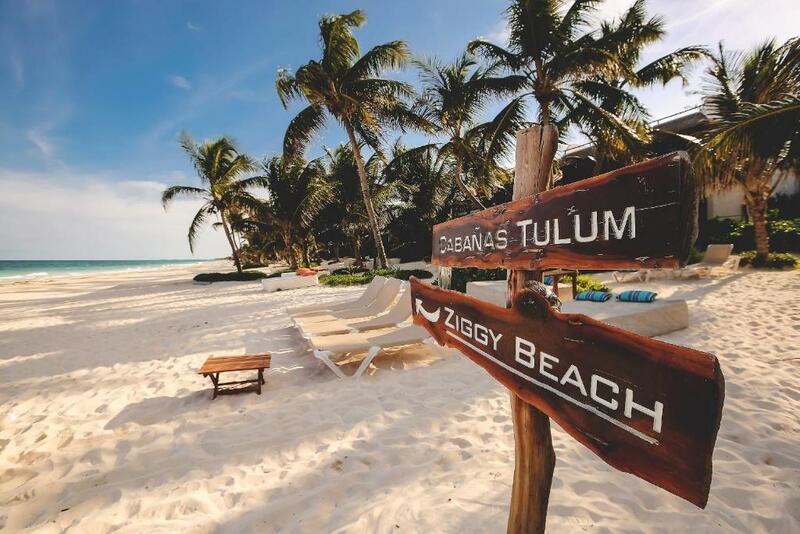 The hotel offers a secluded location, guest rooms with free WiFi, an on-site restaurant and the Ziggy's Beach Club. 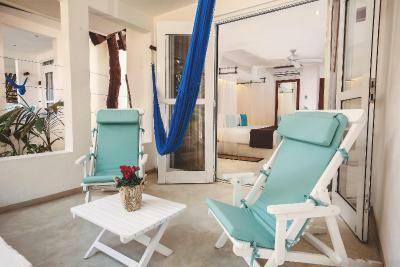 Rooms at Cabanas Tulum include hammocks on the private terrace. Some rooms are located directly on the beach. Some rooms feature a private rooftop terrace with hot tub. Fresco's offers international cuisine and has children menu. Hotel guests can enjoy the beach club amenities, as well as cocktails and beers. The bilingual staff at Cabanas Tulum can arrange tours to nearby eco-friendly attractions like Sian Ka'an, a natural biosphere, or tours to sightseeing the cenotes, the natural underground pools, or travel to the archaeological sites nearby including Cobá, Chichen Itza and Ek Balam. 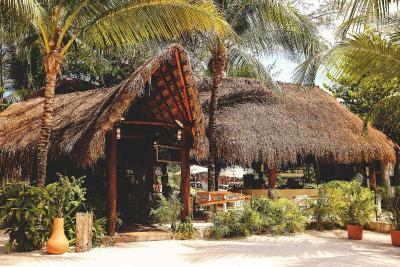 Cabanas Tulum has Naj Naay Spa. Our guests minimum age is 5 years. 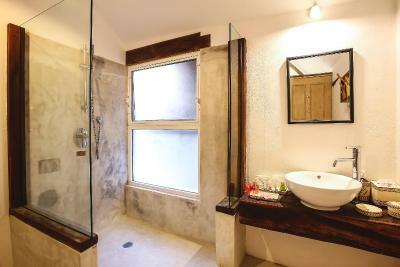 When would you like to stay at Hotel Cabanas Tulum? 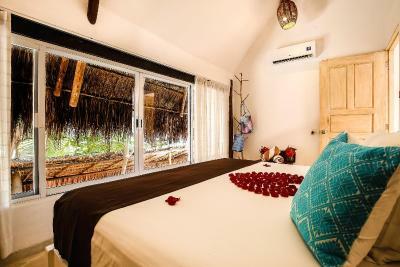 This beachfront room comes with a private and furnished terrace, and a​ hammock​.​ The room features either ​1 king-size bed or 2 queen-size beds​. ​All beachfront rooms are located on the ground floor. This room comes with a private and furnished terrace, and a​ hammock​.​ The room features either ​1 king-size bed or 2 queen-size beds​. 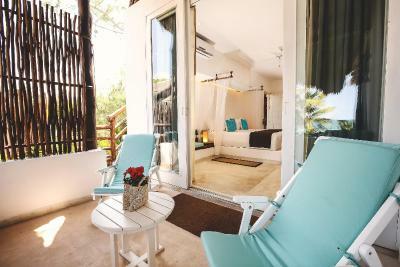 ​It is located a few steps away from ​Tulum's ​beach​​ and the pool and deck area​.​​ All garden rooms are located on the ground floor. This has 3 king-size bedrooms and one small loft area with 1 queen sized bed, with a maximum capacity of 8 people ( 6 adults + 2 children), 3 bathrooms, one of which is en suite, a spacious living area, with lots of sofa space and table. 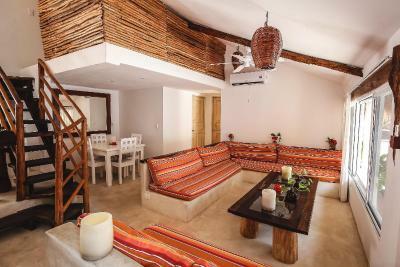 The two furnished terraces are perfect for relaxing after a day at the beach or after an excursion to the various interesting sites in the area. House Rules Hotel Cabanas Tulum takes special requests – add in the next step! Hotel Cabanas Tulum accepts these cards and reserves the right to temporarily hold an amount prior to arrival. Please note that children under 5 years old will note be accepted at the property. Each kid has a fee of $35 USD plus tax. Starting May 15th 2019 our guests minimum age will be 14 years. The beach was to die for. Great food and service! Hotel Cabanas Tulum is an absolute dreamy hotel, I am finding it very hard to think of something negative to say. The people were the best, especially Viri at the reception and the lady with the glasses :D. Absolutely everyone, from reception to management to waiters to cleaners to massage therapists to gardeners were amazing, friendly, smiley, and in the end after 1 week there we were even having banter with the waiters and knew them all by first name. 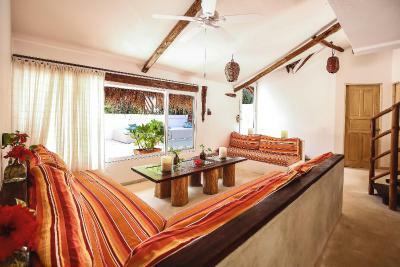 The room is amazing, we had a palapa in front of the beach. The breakfast is to die for. Everything is home- made: the peanut butter, the hazelnut butter, the marmelades, the fabulous corn flour bread, all the smoothies are delicious, the food is great. The yoga is really really good with different instructors, with vinyasa yoga as well. The room is amazing and the bed comfy. The jacuzzi was a real star. Absolutely dreamy place I would again there in a heartbeat. We loved the beach area with the daybeds and the swings! The seaweed on the beach was cleaned multiple times a day and there were always daybeds available. The water was so beautiful and we loved how quiet and relaxing the hotel was. The food at Ziggys and Fresco’s were both delicious for breakfast and lunch. The room was clean and had a beautiful ocean view. The hotel staff was friendly and hospitable and the hotel was located close to restaurants and bars. The walk was approx 10 min into the restaurant area. We also loved riding the bikes around Tulum to explore the area. We biked to the cenotes and into town with no problem. Thank you Hotel Cabanas for such a wonderful stay. The wonderful experience we had at the hotel made our trip the best imaginable. Amazing service, food and massage! Great room and staff. The breakfast at Ziggy’s was amazing. The staff were very helpful and friendly (especially reception). This isn’t the hotels fault but the road that runs through Tulum is awful! Noisy, polluted, beeping and honking horns all day long. It doesn’t give a relaxed vibe and felt very out of tune with a relaxing beach break for us. The staff were wonderful but we felt that the Mexicans don’t get paid enough for what they do... work so hard and such long hours and it left a bad taste in our mouths as the cost of everything in Tulum is 4 times what we paid in any other part of Mexico we had travelled for a month. That doesn’t sit well with me so I’d say look after these gems more and redux your profits a bit. It put me off going back! The thing that made this hotel was the staff. In particular Viri on the front desk and the wonderful breakfast staff in the morning. 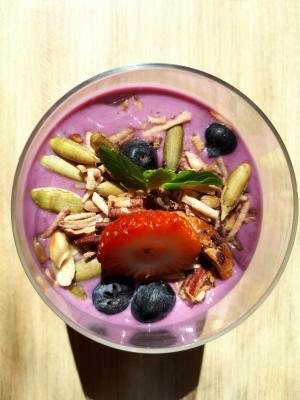 The breakfast was to die for and so healthy and the yoga studios was beautiful. We used the push bikes too which was a welcome touch. The way the staff clean the beach of seaweed is amazing as when we walked along no other hotels did this and it made for a beautiful ocean view when relaxing on sun loungers! Great beach + cleaned up, amazing breakfast, super friendly staff, warm welcome and very clean!